Competitive virtual farming is a lucrative option for gamers in Europe. 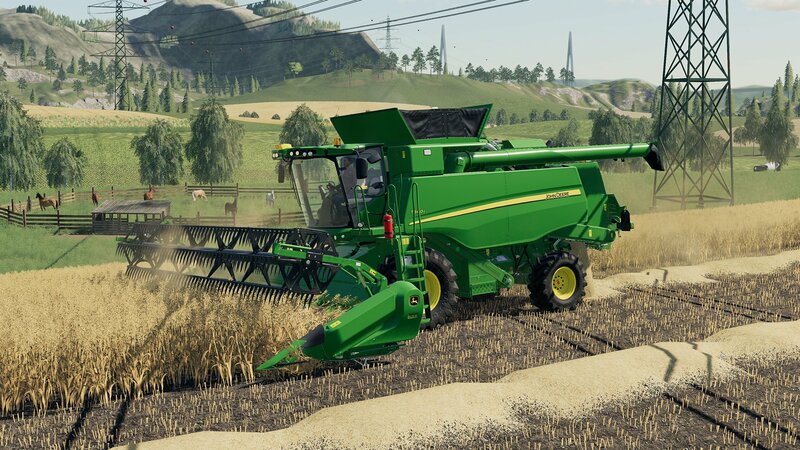 Similar to games like Euro Truck Simulator, Farming Simulator 19 has become a wildly popular game in Europe, and GIANTS Software is looking to capitalize on this popularity with the upcoming launch of season 2’s Farming Simulator Championship. Not only can gamers compete in 10 different tournaments across Europe to see who’s the best at Farming Simulator 19, there’s also a whopping 250.000€ prize pool on the line. Season 2 of the Farming Simulator Championship will include a new 3v3 mode. Last year, the Farming Simulator Championship offered unique challenges including competitive hay bale stacking. For those hoping for something a little different this year, GIANTS Software confirmed that a new 3v3 mode will be added to the mix, though specific details about this mode have yet to be announced. “The game will, of course, stand true to its roots in farming and combine real field work like harvesting with fun and challenging game elements,” explained GIANTS Software in a press release posted to Gamasutra. They went on to confirm that more information regarding the new game mode will be revealed in the near future. GIANTS Software also confirmed they are teaming up with a variety of sponsors such as Intel, Logitech G, and Nitrado. Based on the press release, there will be 10 tournaments. Winning these tournaments will grant competitors with circuit points along with 100.000€ in prizes. The entire prize pool for season 2 of the Farming Simulator Championship is set at a whopping 250.000€ making the esports league a worthwhile endeavor for European fans of Farming Simulator 19. Stay tuned, as we’ll be posting updates on the 3v3 mode as well as event dates as they’re posted by GIANTS Software. In the meantime, what do you think of the Farming Simulator Championship in Europe? Do you plan to watch tournament livestreams, or would you rather see leagues open up for games like Euro Truck Simulator? Let us know down in the comments below!